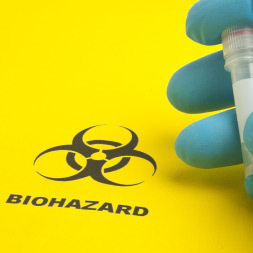 Learn more about safely managing workplace biological hazards in a healthcare environment. This course aims to provide healthcare line managers and department heads with an introduction to managing occupational health and safety. The full course consists of six modules and is suitable for all healthcare settings. This module, Module 3 , introduces you to Biological Agent Hazards in Healthcare . It can be studied as a stand alone module or as part of the full course. Module 3 is split into three topics. Topic 3: Implementing Control Measures. describe the measures used to safeguard healthcare employees from harmful effects of hazardous biological agents.